Im taking this from the Lion Guard discussion, WHO IS THIS THEN? 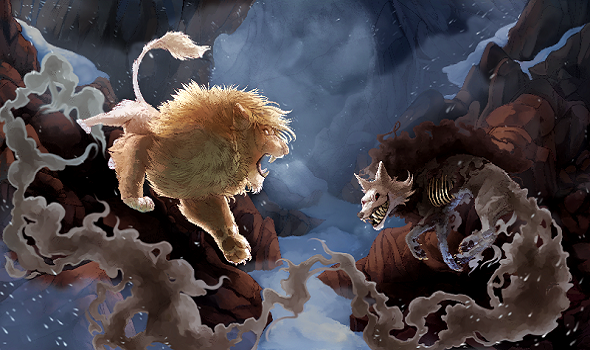 TheLionPrince wrote: Now, to answer your question, there is a storybook that describes "Fluffy" as a female. Here is the scanned page of a Lion King storybook. 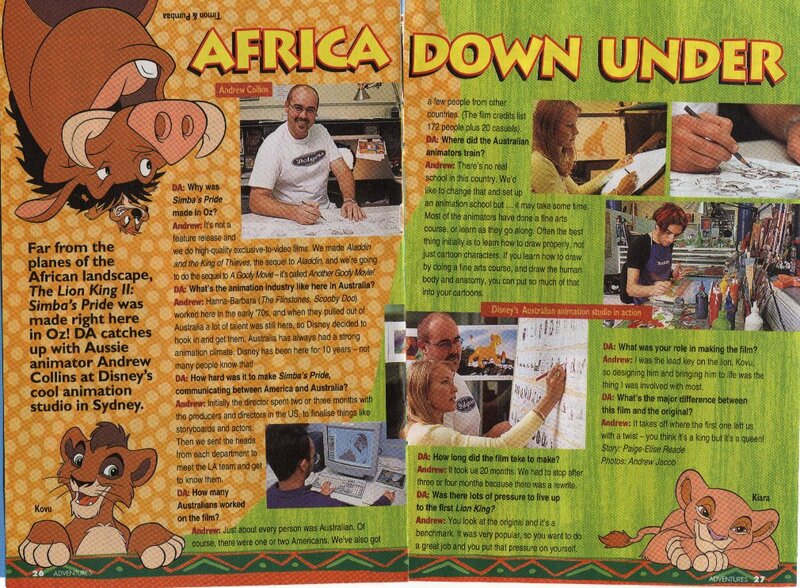 And Andrew Collins (the lead animator of Kovu) confirmed in an Australian edition of the Disney Adventures magazine was asked "What's the major difference between this film and the original?" He answered, "It takes off where the first one left off with a twist - you think it's a king but it's a queen!" Click here for the article: Africa Down Under. Click on that second link. Read the post thoroughly. The creators said that it is Kiara at the end of the first film. "It takes off where the first one left off with a twist- you think it's a king but it's a queen!" That tells us that this is Kiara. Also, look at this. Kiara is color matched to the first movie and looks almost exactly like Fluffy. 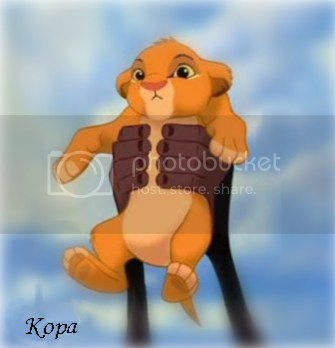 I always forget that fact and I just dont want to accept that its not Kopa, yes I can be very stubborn, its just the differences between the end of TLK 1 and Kiaras birth ceremony, those feature differences just bother me. I can never get over that. Im just one of those people who don't like screw ups and then they just leave it as....oh well, ok i will shut up now. Where exactly was the screw up? I don't think Fluffy negates Kiara, and it certainly doesn't prove Kopa to be canon. Like the deviantArt image I linked showed, if the second movie shared the colors of the first one (which it doesn't, just look at Simba and Nala) then there would not be a color difference. Yeah the ear rims are missing, but it's not a screw-up, not really. At the end of the first movie, they gave Simba a cub to show the completion of the Circle of Life. When they decided to make a movie about said cub, they deliberately modified the design so that she wouldn't look exactly like her father.